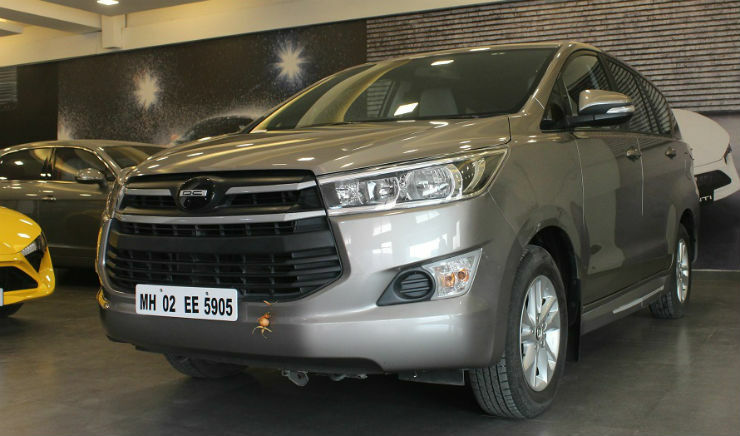 The Toyota Innova has always been one of the most comfortable vehicles to sit in. 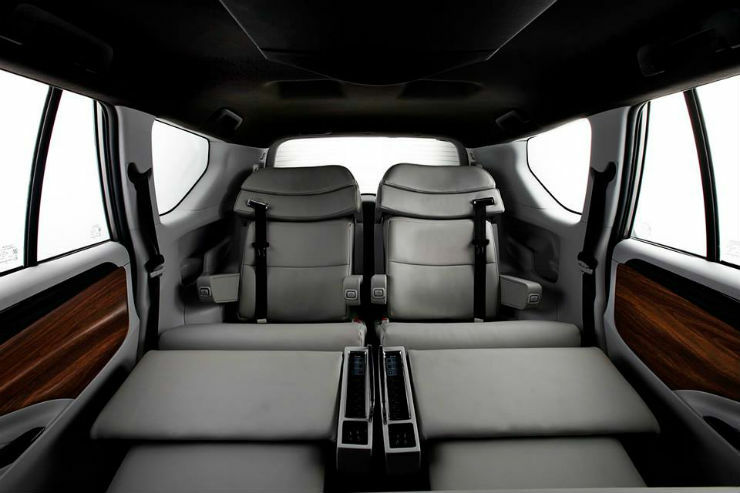 If anyone wanted to be at the back seat in comfort, the Innova was the weapon of choice. Now, things have been taken to an all new level by none else than DC. 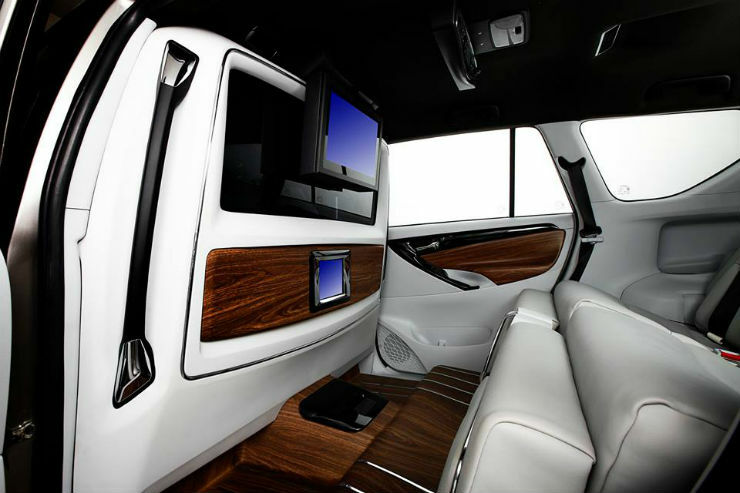 DC, the designer has been making custom lounges based on the Innova for a while now. 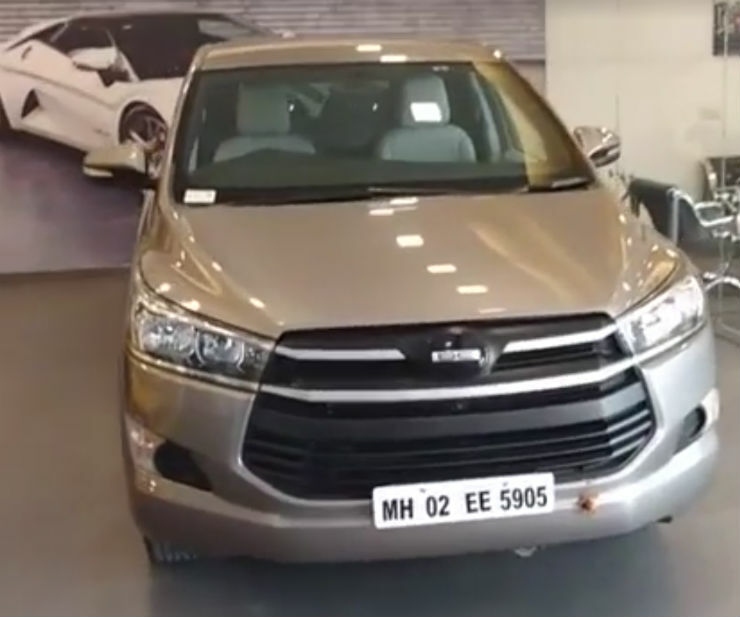 His firm, DC Design, has finally revealed information and pictures on their new lounge based on the Innova Crysta. What does the lounge get? 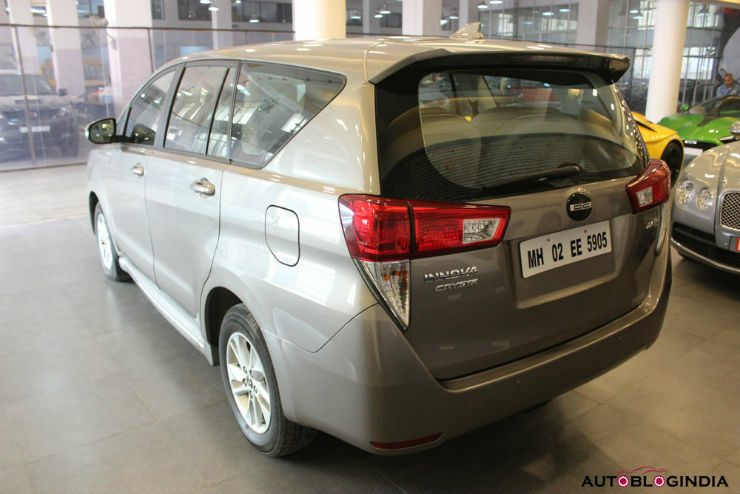 Where the normal Innova comes in either 7/8 seat configuration, this one comes with only two seats at the back making it a 4 seater. So if you intend on carrying more people, you are going to have to look else where. 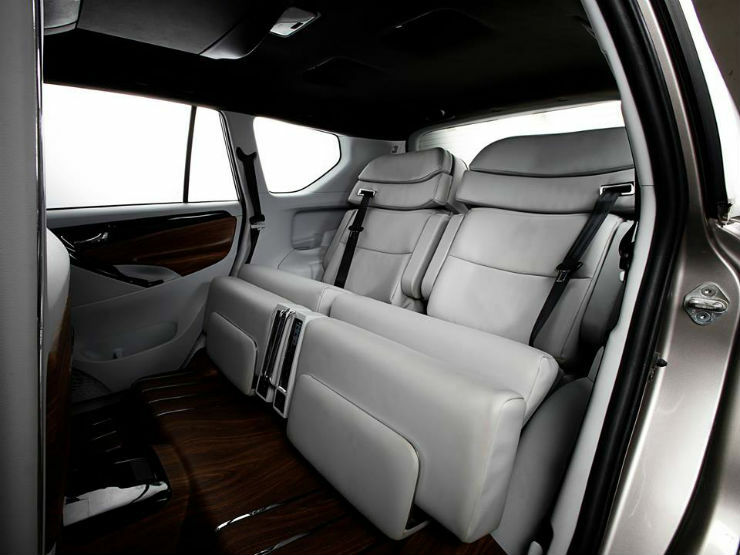 However, those two people who do get into the back, will be treated to pure luxury. The two seats are business class styled ones which recline and have a proper leg rest so that you can literally lie down and travel in peace. There are also foldable tables like those on airplanes. 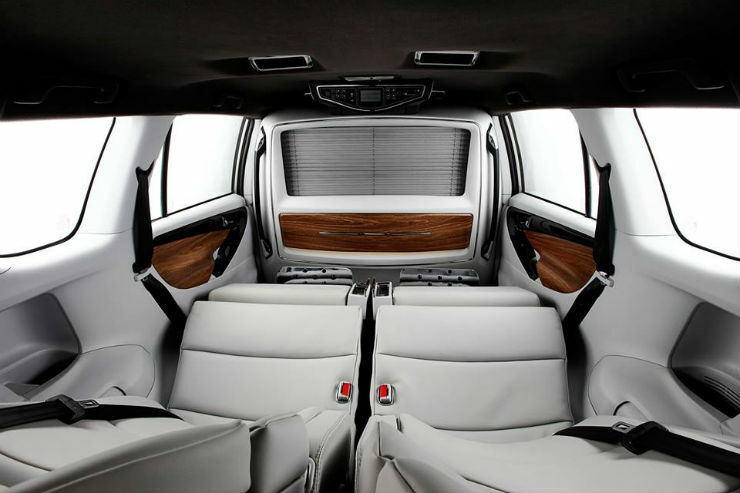 The fabric on the door cards and the floor has been replaced by wood to give it a plush and luxurious feel. As is with the previous lounge, this one too has a partition between the drivers cabin and the passenger area for the extra privacy. On the partition, there is a TV as well as another screen below to keep you entertained. The exact features and specs depend upon how much you are wanting to spend and what you want. Though you will never be behind the wheel of this one, DC has even done up the drivers cabin. The car is based on one of the lower variants of the Crysta and hence DC has fitted a large touch screen system for the drivers entertainment. 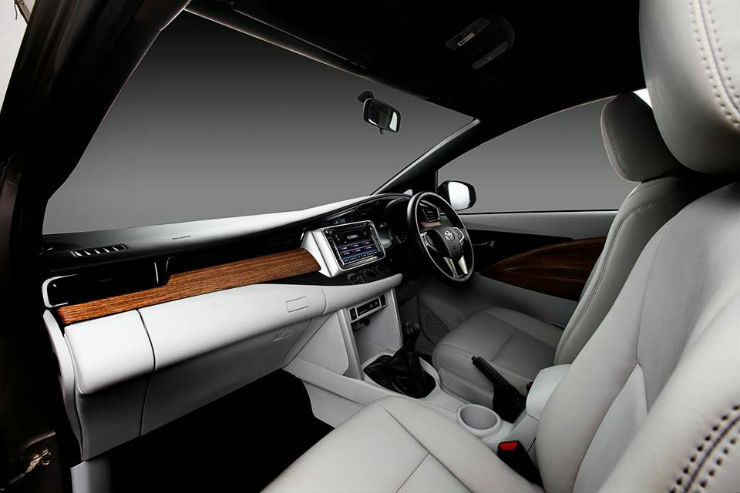 Also, he has added wood panels to the dashboard and the door to give the driver a sense of luxury as well. The DC lounge begins at Rs 4.95 lakhs and the costs rise depending upon what options you choose. This cost is over and above that of the car. If you do intend to get this conversion done, we suggest you choose a base model on the Crysta since you are anyways going to strip it down and change everything. But what about the outside? DC hasn’t changed anything on the outside except the logos.